Xbox 360 version is negatively affected by playing Xbox One version. Happy Wars is coming to Xbox One to unleash both the cute and carnage both at the same time! Unfortunately, a developer mistake had the game prematurely released on Xbox Live, with the game in a very unpolished and buggy state. While Toylogic has returned again to bring us all another helping of crazy epic battles that will take place on the Xbox One version of Happy Wars, they definitely made a mistake in accidentally releasing the unfinished game to the public a few days ago. What's even worse is that this version has inadvertently prevented players from accessing their Xbox 360 versions of the game, if they wish to go back to play. By playing the unfinished title, Xbox 360 players find that their XBL accounts will not allow their game to work properly. Sadly, at this time, there is no way for players who've already downloaded the Xbox One version to return their Xbox 360 versions back to normal. However, Toylogic is working to remedy the issue and officially release the game in the near future. 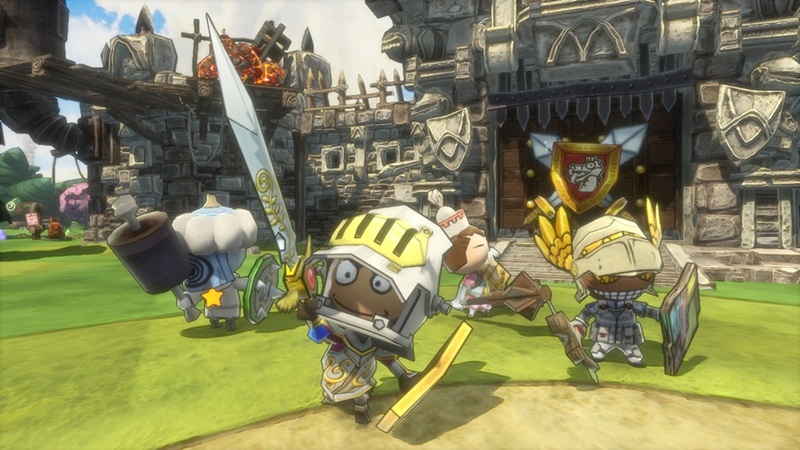 Happy Wars on Xbox One has yet to receive an official release date, however. In the meantime, for those of us who haven't downloaded and played the Xbox One verison (XBL currently removed the download link), there is a special video on this Happy Wars version that shows how the menus will look in game, plus show off a battle or two to get you into the game's new graphics. The visuals are, by far, the big highlight of this new version, increasing the depth of their realism instead of simply cell shaded objects; water looks like read water! Don't worry, that cartoony feel is still there from the Xbox 360 version, just with super enhancements. 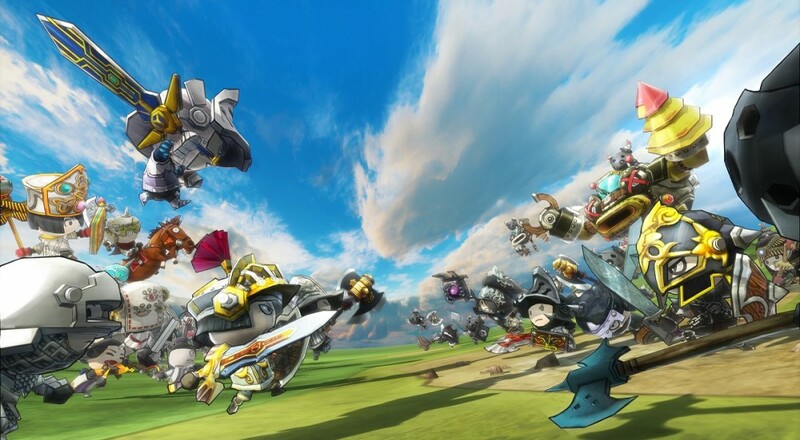 Happy Wars is all about massive online multiplayer. The goal of the game is for you and your team to control various points throughout each map by building team towers and working your way towards the enemy stronghold. A stronghold (castle) houses a team's main totem that they are protecting. To win, you must breach their defenses by either force or through sneaky ladder building and capture their keep! Of course, there are lots of environmental hazards and weapons of war to utilize along the battlefield. Wielding these at advantageous moments can easily turn the tide of battle, if used properly. The game has a surprising learning curve for advanced players, but is also easy enough for beginners to pick up and play (perfect for newcomers to co-op). Again, up to 30 players can be in any one multiplayer game at a time, with 15 vs 15 (can be played against computers) as the max team count.